Sign-up for Pockets Bulk Subscription Program to save a few extra dollars on your favorite magazine. No need to handle 7 invoices or write 7 checks. 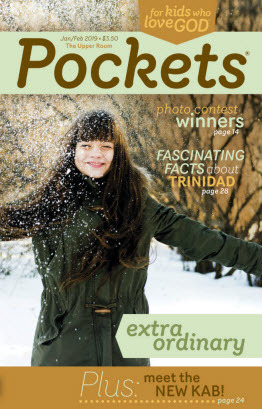 Here is your chance to receive multiple copies of Pockets hassle-free. Order a minimum of 10 copies per issue shipped to one address. Pay at the low subscription price of $12.25 each. For fundraising projects, resell your copies at the full cover price. Use Pockets for outreach, welcome kits, and more!